With so many beautiful and unique places to stay in and around the UK, it’s no wonder people are choosing a ‘staycation’ rather than traveling abroad. 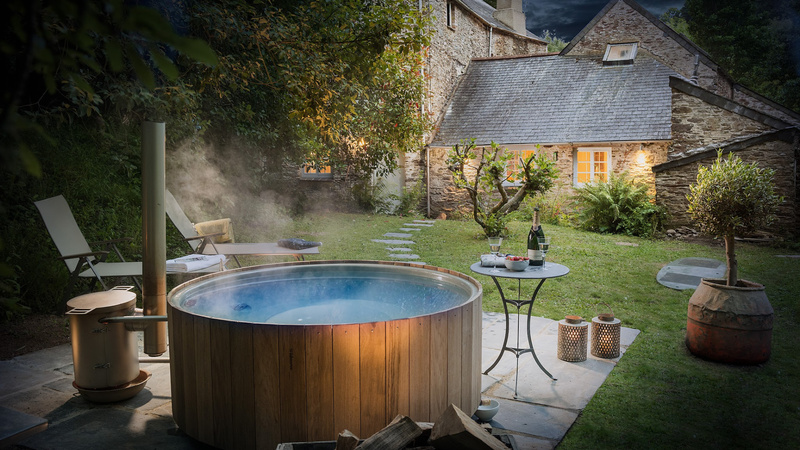 Unique Home Stays in particular have an incredible selection of places to relax and explore whether it be just the two of you setting out on a romantic break, or the whole family looking for a home away from home. 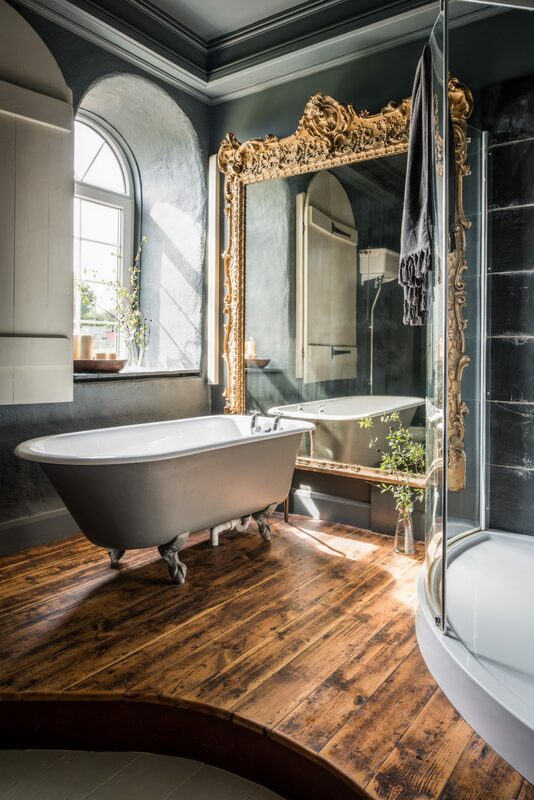 Built in 1890 this chic self-catering mansion known as Ariabelle is located near the market town of Midhurst in west Sussex and is surrounded by the South Downs National park. The stunning ‘French Chateau’ style treasure trove is full of sparkly chandeliers, luxurious furniture and period oak panelling that is just calling to be explored, but don’t worry the property doesn’t take itself too seriously – there are plenty of fun things to do in the house, grounds and nearby that will keep both children and adults busy… and most importantly happy whatever the season. Boasting nine bedrooms there’s plenty of space for all especially as the property has a large indoor pool with soft seating nearby so kids can play whilst parents relax, there’s also a gym, hot tub, sauna, steam room. As if that wasn’t enough outside you will find a tennis court, trampoline, zip wire and playhouse as well as a bbq. Budding explorers and nature lovers alike can explore the 40 acres of surrounding woodland followed by an evening sat around the fire pit wrapped up in blankets and toasting marshmallows with a warm hot chocolate in hand… pure bliss. 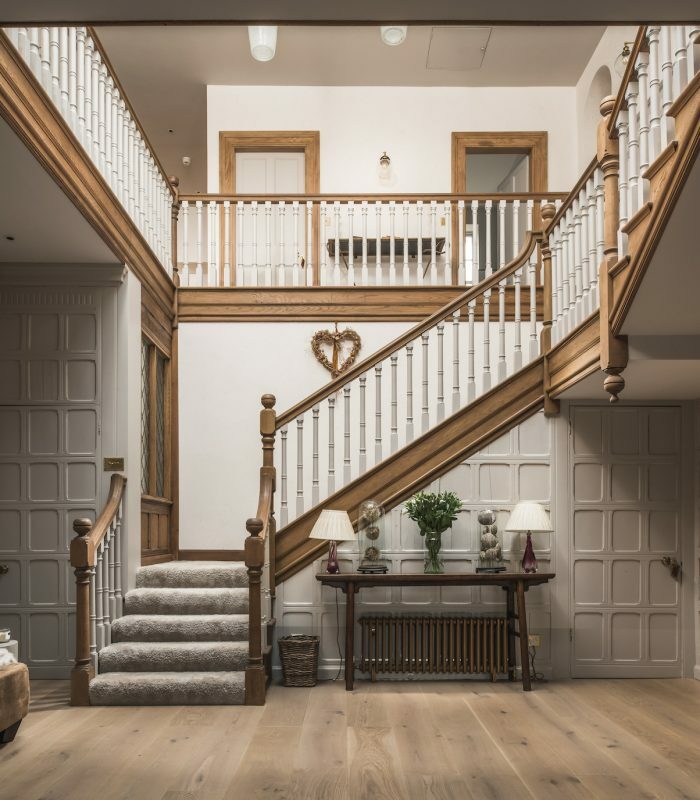 Sleeps: up to 14 guests in five double bedrooms, one single bedroom and three children’s rooms (as well as a playroom to entertain young ones). 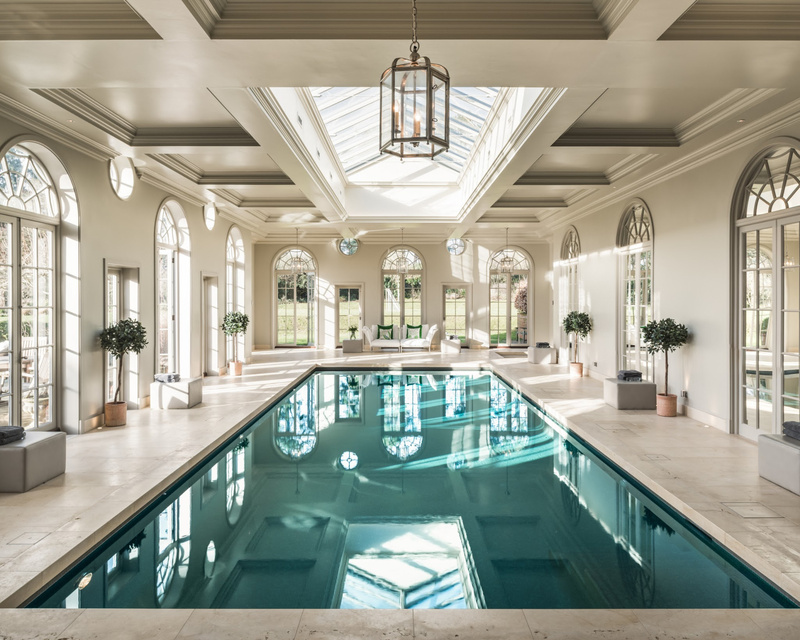 Things to do nearby: Located near Goodwood, Cowdray Park Polo Club or discover nearby Petworth House – a Grade I listed mansion landscaped by Capability Brown. Features: Pool, hot tub, sauna, steam room, gym, tennis court and all the modern mod cons e.g Netflix, Sonos etc. Extras: In house caterers can be booked as well as wine deliveries, you can find out more here. 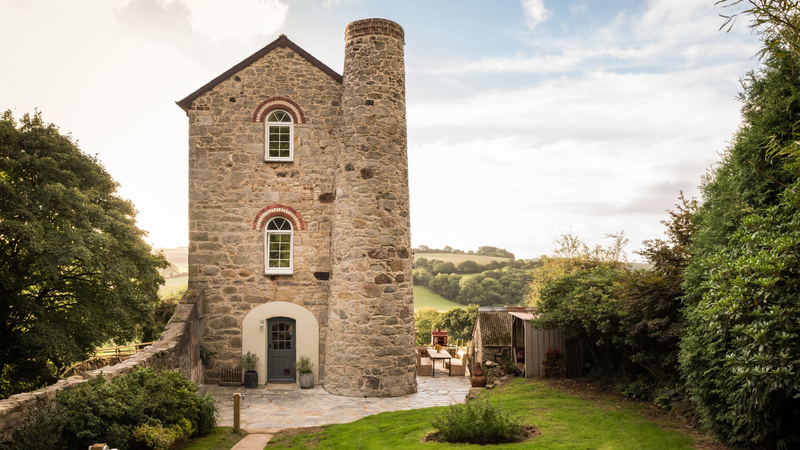 Located in a picturesque valley near Dartmouth, 400 year old Ellesmera Mill is the perfect combination of rustic and luxury offering a far from ordinary escape. With an impressive 25 beaches to choose from in and around the South Hams, Blackpool Sands and Bigbury are top of the list or for golden sand dunes and surfing it has to be Bantham which is a well known Marine Conservation Society recommended beach. If you prefer to a dryer and less sandy day out explore the independent galleries and boutiques of pretty pastel painted Dartmouth and Totnes, or travel back in time with a visit to Dartmouth castle or Dartington Hall. Features: Hot tub, sauna, cinema room with table football and Sonos sound system etc. 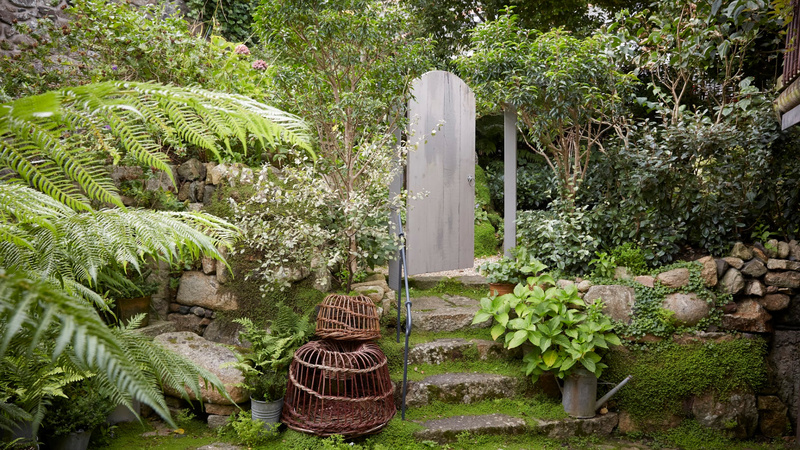 The luxuriously romantic Herringbone cottage sits on the water’s edge of the Mousehole harbour, Cornwall (named the ‘prettiest village in England’ by Dylan Thomas) and began its life as a net loft. 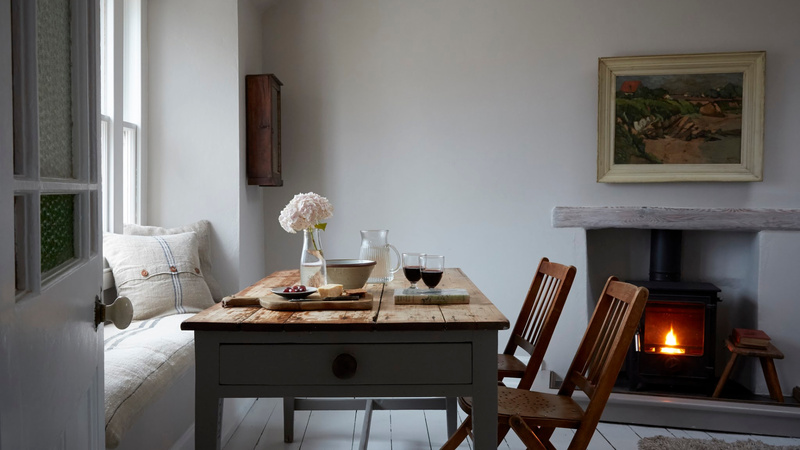 The now slightly rustic and super cosy cottage is the perfect escape for two. In the winter huddle by the comforting log burner fire, and in the summer open the large windows and welcome in a salty summer breeze, the sounds of the surrounding harbour and overhead gulls. If you can bear to leave the peaceful idyllic Herringbone you can take a wander into the nearby Cornish harbour town and experience the bustle of boats and beauty of the beaches. In the evening dine visit one of the many fine restaurants or enjoy a good old fashioned fish and chips straight out of the bag whilst sat looking out at the sunset on the harbour. Things to do nearby: the property has an abundance of beaches nearby as well as being close to the famous St. Michaels Mount. Features: the property has a shared garden, TV, ipod doc etc. 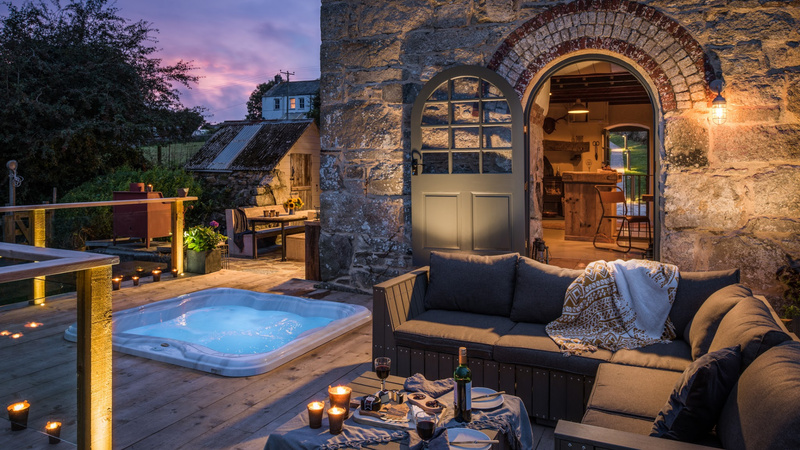 Within a secluded hamlet of Trelion overlooking the stunning views of Fal Valley in mid-Cornwall is the unique Grade II Listed property called The Stack. 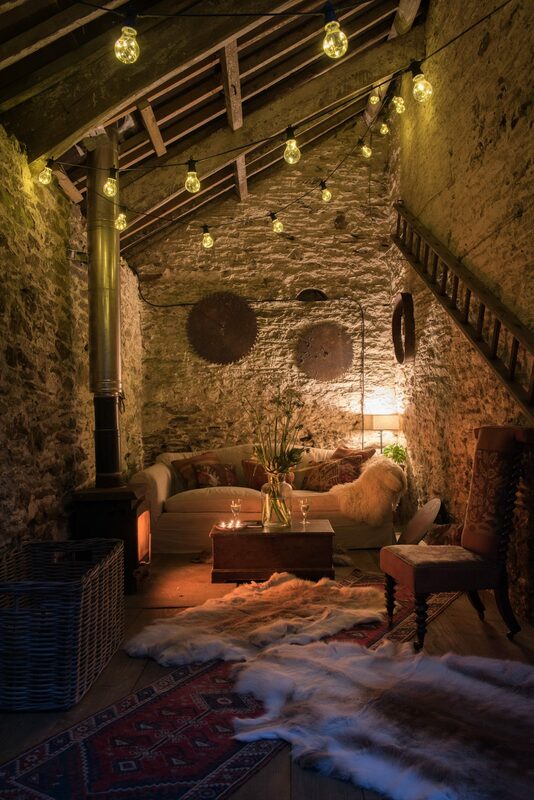 Built in the 19th century as an engine house it’s brimming with mining history and offers five floors of unique architecture, quirky decor and exposed brick walls. 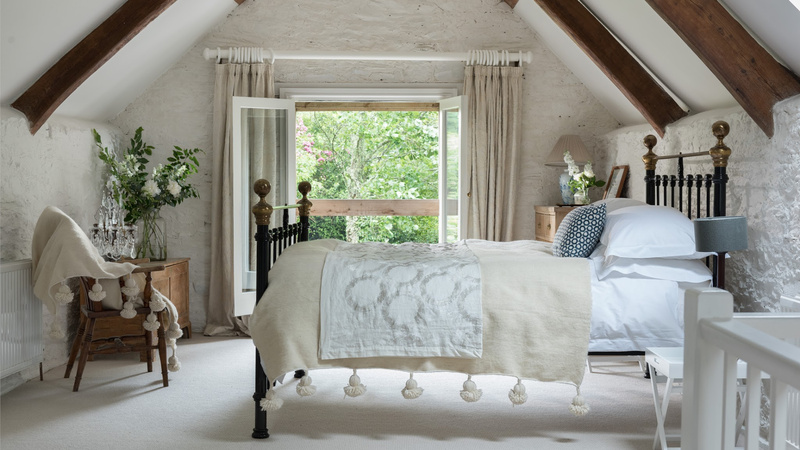 No room or view at The Stack is the same with one zip-and-link bedroom full of vintage star gazing paraphernalia to the main bathroom that showcases a reclaimed roll top bath and golden floor-length mirror sourced from a 1920’s London Parlour. 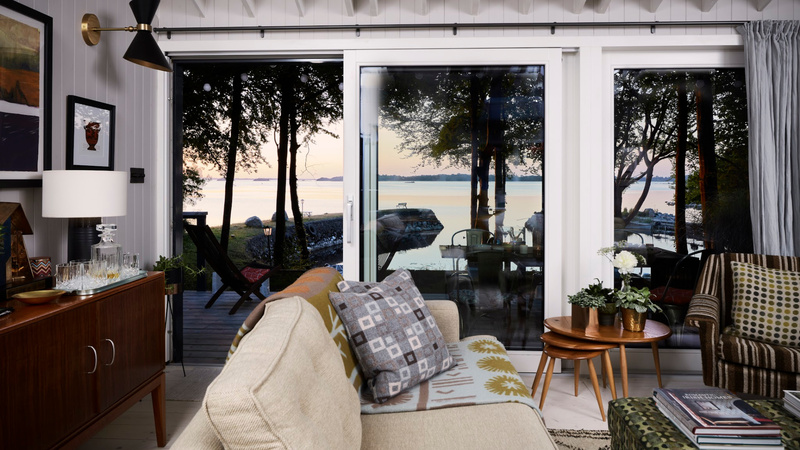 Families can truly relax in their own space here – enjoy half an acre of gardens, curl up with a movie classic in the cinema room, unwind in the outdoor hot tub and try out a new culinary creation in the al fresco kitchen with pizza oven and enjoy under the stars. Pets: two well behaved dogs welcome (additional charges may apply). Things to do nearby: take a ferry ride on the King Harry ferry (in the summer it transforms into a floating cinema), enjoy a summer festival, visit Cornwall’s capital Truro and discover the boutiques, eateries and lively farmers market. Features: sunken hot tub, cinema room, al fresco kitchen with pizza oven and mod cons e.g Netflix, Sonos etc. 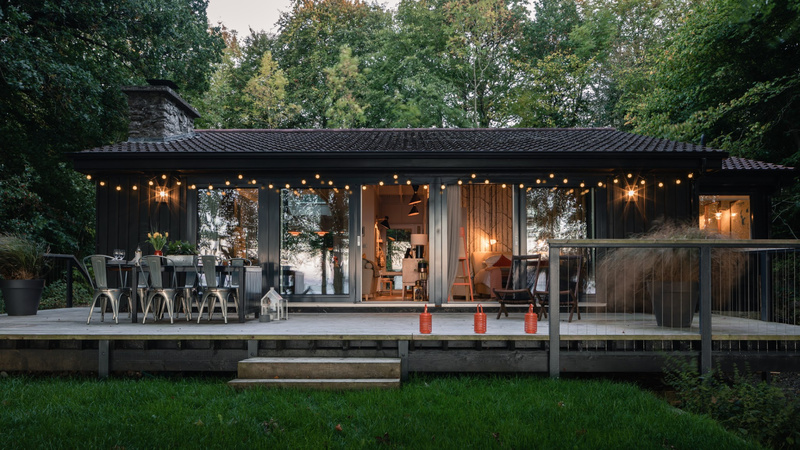 If all you want to do this year is truly escape to the woods and embrace the wilderness away from the hustle and bustle of city and town life then ‘Ireland’s home of the year’ the Walden Lakehouse may be just what you need…. 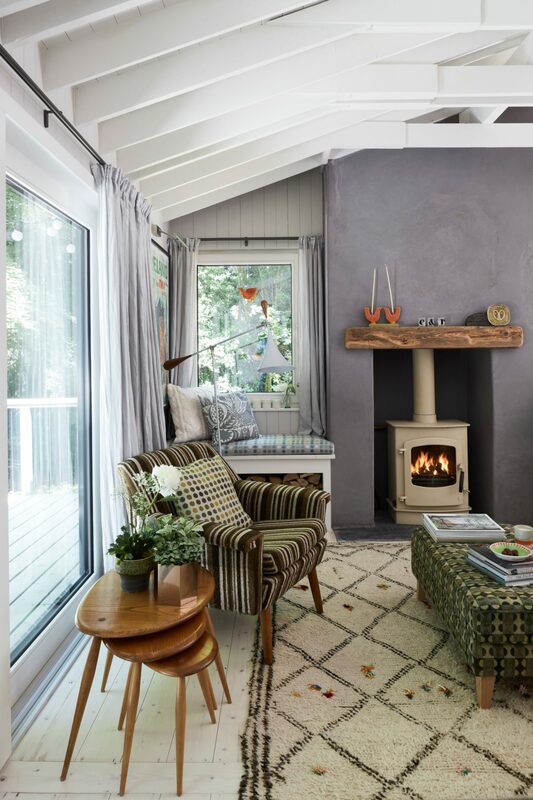 Nestled in a secret pot on the shores of the middle lake of iconic River Shannon, Country Westmeath in Ireland this one-level cottage has been passed down through an Irish family and easily provides an authentic homestay experience for up to four guests. 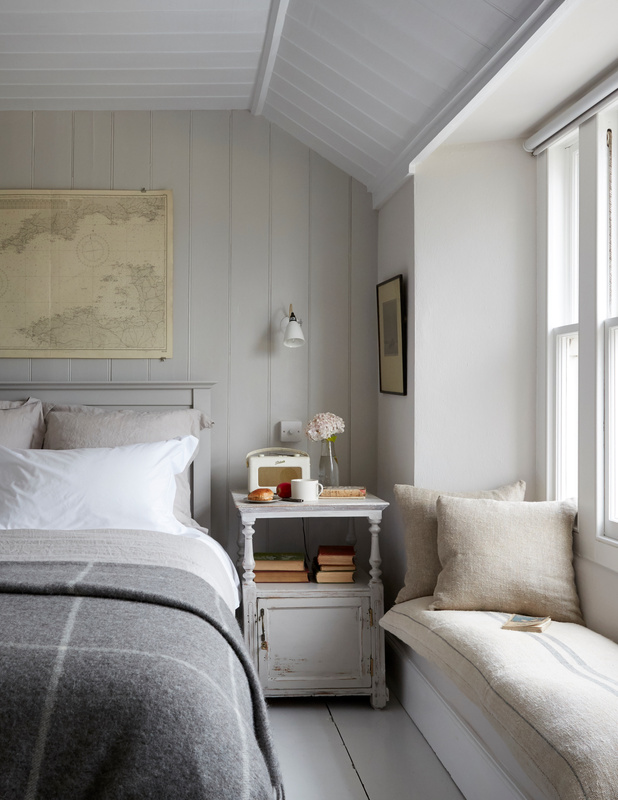 Truly celebrating the simple things in life, you can quite literally watch local birdlife glide by the bottom of the bed from the warmth of a cosy duvet or open doors open wide in the warmer summer months so the outside and inside blend gloriously into one. When – if ever – you decide to venture away from the Walden Lakehouse there is a wealth of incredible things to do nearby like visiting a local pub to taste test a pint of Guiness accompanied by a hearty Irish stew or take a trip to the city of Galway (less than an hour’s drive away from the Walden Lakehouse). Things to do nearby: 42km of cycle paths nearby, rent a motor boat or kayak on the lake or visit the ‘Village of the Roses’. Features: TV, Sonos sound system etc, BBQ. For more inspiration paces to stay visit www.uniquehomestays.com or call a member of the team on 01637 881183.